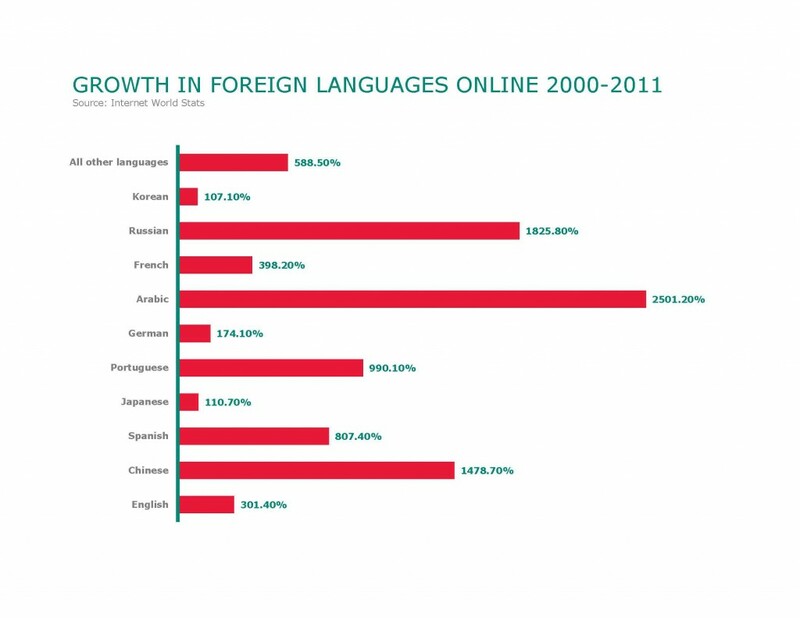 In my last article for the Content Marketing Institute, I outlined why there’s a huge opportunity for content marketers to explore and expand into foreign language online markets. I also offered three quick tips for producing and marketing content in multiple languages. This time around, I’d like to expand on that theme with five tips that will get you on the road to running content marketing campaigns internationally even when you’re monolingual yourself. What sites exist that might publish your content? What sort of content do they prefer? What is the preferred tone and style? Should you be looking at blog posts, articles, video, social media or all of the above? Scouting around the local web using Google Translate can give you a very useful overview of the answers to these critical questions. But it never hurts to have your assumptions assessed by a local native-speaker, especially one with marketing experience. Once you have your strategy in place, your next question is whether to adapt your existing content or create new original content. Because Google and other search engines’ duplicate content rules don’t apply across multiple languages, you have the option of simply localizing your existing content. Content localization means going one step further than basic translation. You must have the content translated into its target language, and you must also edit the content thoroughly to ensure that all cultural and linguistic differences are taken into consideration. For instance, you need to ensure that the currencies and measurement systems are appropriate for the target audience, that the content does not contain references that are irrelevant or obscure for the intended audience, and that the correct specific language variant is used (for example, there are 21 variants of Latin American Spanish). With enough research, this is a process you can undertake yourself before translation; however, you may find it feasible to create original content with in-country copywriters. 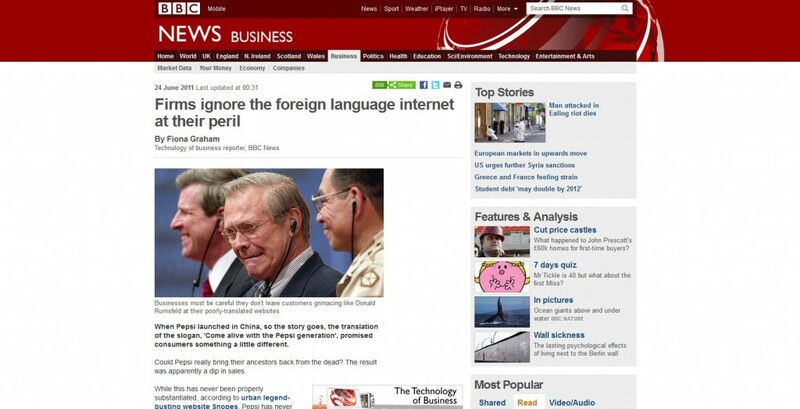 By far, the best way to ensure that your content is culturally and linguistically appropriate and up to date with the news is to outsource your content creation to in-country specialists and copywriters. Of course, evaluating their output is difficult when you don’t speak the language, so it helps to have a feedback process in which in-country editors with experience with your brand can evaluate the content and help get your writers up to a standard where they can work independently. 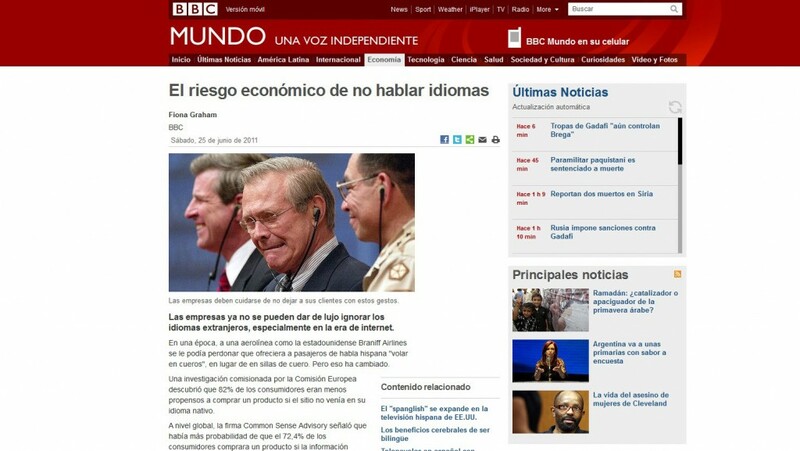 The second benefit of having in-country specialists is for the dissemination and publication of your content. Again, this is something that you can do yourself. But if you were a website editor who received a pitch that obviously had been translated by a machine translation program would you accept the content? My experience with my translation agency Lingo24 has been that the most valuable links by far are those from high ranking editorial sites. The only way to secure those links is with the production of high quality content pitched by expert native-speaking PR specialists. Outsourcing to in-country specialists to post and pitch your content in their native language means you can concentrate on the bigger picture such as overall content strategy and expansion into additional markets. If part of your content marketing strategy involves building links, then ensuring your keywords are correct is absolutely essential; otherwise, you’ll be climbing the search rankings for terms no one is searching for. You can undertake a large part of the process yourself by translating your English keywords directly, researching the keywords your competitors are using, and checking for traffic size and AdWords opportunities using tools like Google’s Keyword Tool and Google Global Market Finder. Before deciding on your final keywords, though, it helps to have your list checked over by a native-speaking specialist, as language is ever-changing, and the most popular keywords could be colloquialisms, adaptations from English or something else you wouldn’t even be aware of as a non-local. For instance, the most popular key word in Italy for the term “low cost flights” is an English hybrid – “voli low cost” – a term that entered the language when U.K. airlines cornered the cheap flight industry. Measuring success with link-building campaigns is a relatively simple process. Just log your website’s place on the search engines for key terms at the start of the process and chart your monthly progress up the search engine results pages (SERPS) for those key terms as you collect more links from highly ranked sites. As social media is fast becoming an indispensable part of any content marketing campaign, it’s important to know where your brand stands in terms of multilingual social media. Setting up translated Twitter and Facebook accounts (and Google+ in the near future) is a no-brainer for most countries and so is keeping them updated regularly with interactive content. Check regularly to ensure you’re engaging with your followers in a timely manner. To this end, it might help to bring on a part-time social media manager for each language (perhaps one of your existing copywriters is up for the task) to keep the content fresh and flowing and to maintain an interactive presence. And be aware that in some countries, there are social networks other than Facebook and Twitter that are dominant, such as Renren in China and Orkut in Brazil. As you can see, there are plenty of free tools around the web that can help you dip a toe into foreign language content marketing although you may want to bring in specialists to help when you start seeing results and want to refine your campaigns. But there are really no barriers to trying it out even if you’re monolingual! Christian Arno is the founder of global translation agency Lingo24, experts in foreign language internet marketing. Launched in 2001, Lingo24 now has more than 130 employees spanning four continents and clients in more than 60 countries. In the past 12 months, the company has translated more than 60 million words for businesses in every industry sector. Follow Lingo24 on Twitter @Lingo24.